#1 Lightning never strikes twice. Fact: Lightning can and does strike twice. A spire on a church, an ironstone ridge and many other places are susceptible to multiple lightning strikes on a regular basis. #2 No clouds overhead means no storm over you and you are safe. 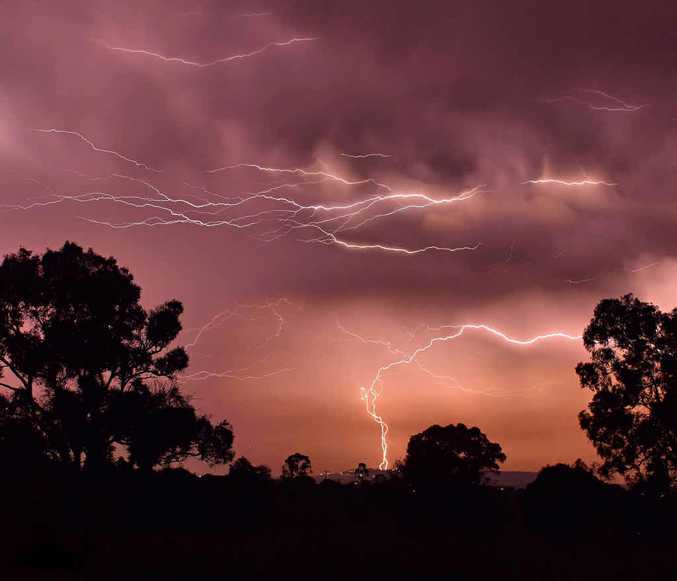 Fact: Lightning can strike up to six kilometres away from any storm and a "bolt from the blue" can strike up to 20km away. This very thing happened earlier this year off the coast of south-east Queensland. 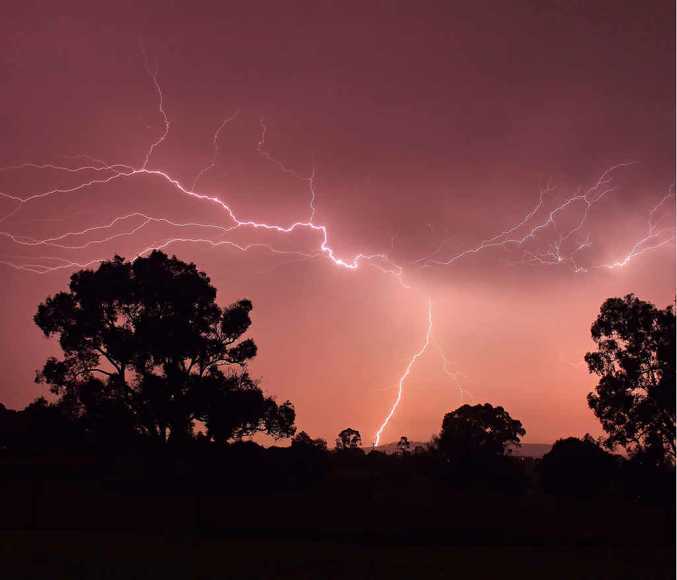 #3 The tyres on your car protect you from lightning because they insulate you from the ground. Fact: Cars are safe. Well, most are. It is the metal frame of the car that acts as a "Faraday cage" and allows the lightning to travel around the outside of the car and dissipate without hurting you. That is as long as you are not holding something metal at the time the car is struck. Open-top and fibreglass roofed cars have no protection and you can be struck. 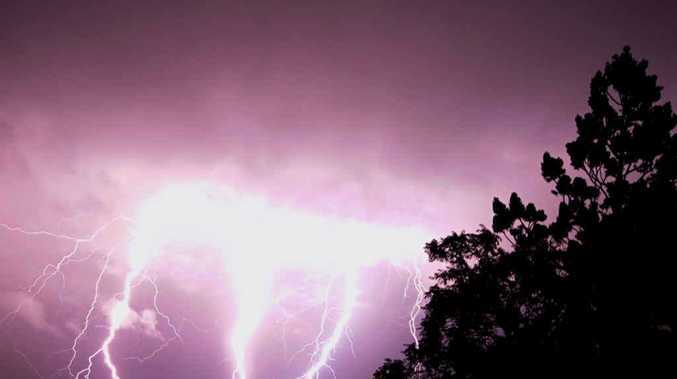 #4 Electricity can stay in a human body and you may be electrocuted if you touch a lightning victim. Fact: Our bodies are incapable of storing electricity and it is essential that first aid be given to a lightning victim immediately. #5 If you are in a storm seek shelter under a tree. Fact: This is one of the most dangerous things you could do. Not only is there a chance you may have a massive tree branch land on your head, the tree is also very susceptible to lightning and when struck may explode. You do not want to be near a tree when that happens. You should squat on the ground with only your toes touching to give the least amount of earth contact. You should also cover you ears to protect them from any close strikes. The best way though is not to get caught outside in the first place. #6 You are safe inside your house. Fact: This is partly true but you must ensure you do not touch any metal objects, do not use phones, and stay away from windows. There are many other truths and untruths out there. You are best to research information from authorities on what the best action is in any given circumstance. Being prepared can and does save lives.